If you talk about Salzburg it is almost immediately associated with classical music and the Salzburg Festival. The Salzburg Festival is one of the best music events world-wide and fans of classical music often book their tickets years in advance to get the best seats. Founded in 1920, the Festival can look back at a long history and yet fascinates its visitors every summer with new, spectacular performances. Even if you did not manage to get one of the coveted tickets, Salzburg during the months of the Festival is a unique experience. 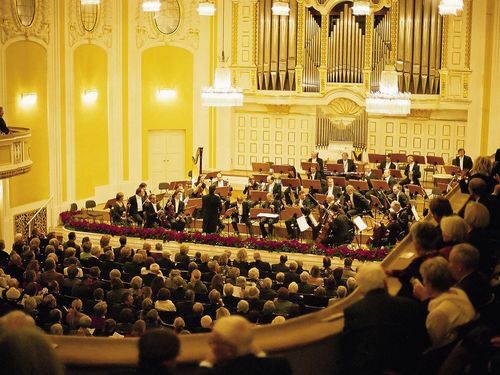 The small city turns into the centre of classical music and enchants visitors and locals with a varied programme. You can watch the spectacular opening ceremony or spend an unforgettable evening at the SIEMENS Open Air cinema,where you can watch fantastic opera performances of past Festival years on the big screen free of charge. Apart from the Great Festival Hall, there are other venues, like the Salzburger Landestheater and the Perner-Insel in Hallein, where innovative forms of theatre and music find their perfect stage. Whether you enjoy opera performances from a box seat or on the big screen on the Kapitelplatz, Salzburg during the festival season is an inimitable experience. At the Hotel zur Post, with its quiet and yet central location, you will find all the comforts that will make your stay complete. Book now online or call our friendly staff..